Dubai-based fine wine and luxury spirits retailer Le Clos has sold a collection of Macallan Fine & Rare whiskies for US$500,000, breaking its own record for the most expensive travel retail spirits purchase. The previous record was set by the store, situated in Dubai International airport, in January 2016, when 19 Macallan Fine & Rare bottles were bought for US$361,000. The latest Macallan selection was acquired by an Asian collector and includes vintages from 1937 through to 1990, as well as the Macallan Golden Age of Travel, distilled in 1937 and bottled in one of only 48 specially-made Lalique decanters. 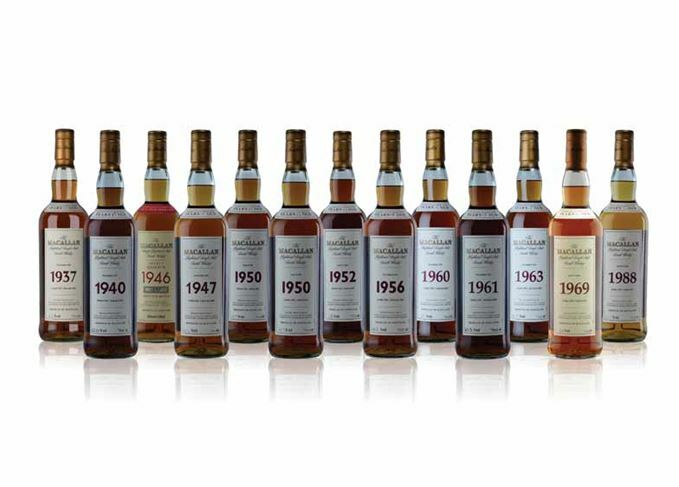 Macallan Select Reserve 1946 was also included in the sale. The Macallan Fine & Rare Collection comprises annual vintages from the Speyside distillery, with only a small number of bottles released each year. The earliest vintage dates back to 1926. Le Clos also made a record-breaking sale in 2014 – a basket containing The Macallan Lalique plus other 50-year-old single malts, which was purchased by a Chinese customer for US$112,780. Eugene Barry, executive vice president, commercial and communications at Dubai Airports, described the sale as a ‘tremendous achievement’.